I took this photo in August 2014 in Comino, Malta. The main island of Malta has two smaller sister islands, so I got the boat to the smallest island Comino. 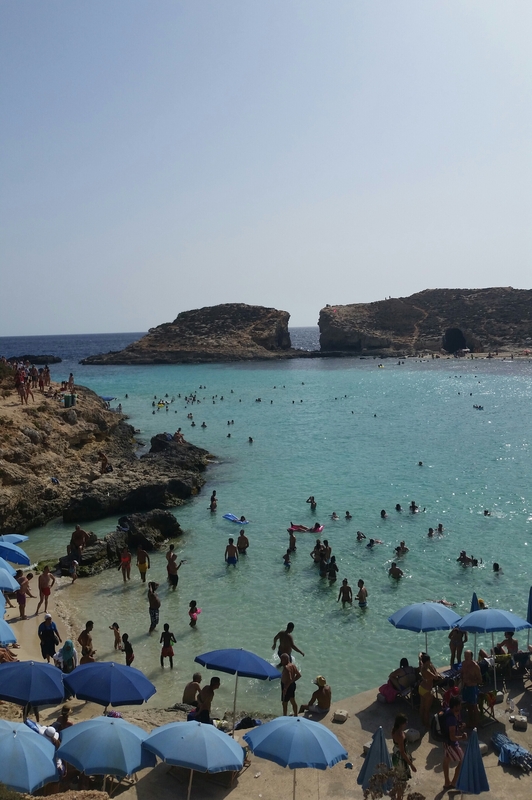 Comino’s famous sight is it’s crystal clear waters, known as The Blue Lagoon. I was nominated by travelfranzi so pay her brilliant travel blog a visit. I nominate Chanelle Hayley as I love her beauty posts and her ‘Hey, It’s Okay’ series of posts. So check her blog out. I recognised this place before even seeing your comments; I went there as a kid and the Blue Lagoon remains vivid in my memory!